Power at home is very essential. Without it, household chores will be disrupted and a number of other important activities will be hampered. Yes, we can absolutely say that electricity is a necessity not just at home, but anywhere we go. Because of this, more and more people find it convenient to provide their homes and offices with generators. 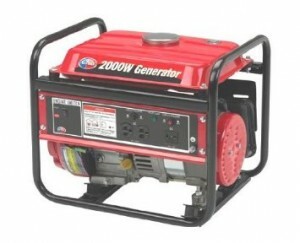 Generators have two kinds: standby and portable. Continuous use of appliances despite a power outage is possible by using a standby generator which is efficient as it can be a source of backup power. It is permanently mounted outside where it may be plugged into power wirings. Once the power is out, the generator automatically operates within seconds. 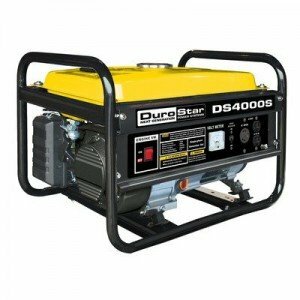 However, if you want a generator that may be used for locations wherein power supply is low or none such as on camps and construction sites, then you may choose to buy a portable generator. Before purchasing your generator as a backup power system, make sure you have generator storage outside your home ready that will house and protect it from any harmful elements in the environment. Installing it inside or leaving it open outside with just a simple shelter are common mistakes that many homeowners do. It takes proper generator storage to be able to benefit from its utility for a long time and safeguard the entire household from any untoward incidents. Generator storage may be in the form of a sturdy shelter, wood enclosure (with ventilation), or a durable canopy designed for such equipment. Just make sure that your generator storage is located outside to avoid toxic fume buildup inside your home. like this, you have to make sure that your family members are safe and have the necessary things like food, water and shelter until the winter power outage is over. 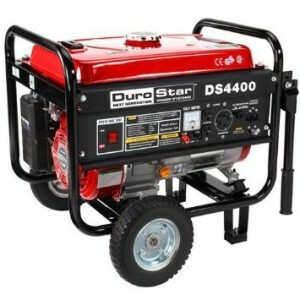 This DuroStar DS4400 review takes a close look at a portable generator which is a smart investment for people who often suffer power outages or are in need of a source of energy while on the road or at a job site. It is always a good idea to have a backup source of power on hand, especially when living in an area of the country that weathers frequent wind storms or when camping on a regular basis. A portable generator will fill this void. 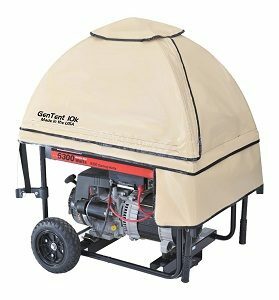 This portable generator comes with a wheel kit which makes it extra convenient when traveling from place to place. It works well when tools must be powered on a construction site or in nature during a fishing or hunting trip. 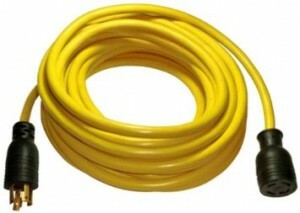 It is a durable and heavy duty unit which will work well in times of need. Here is a better explanation of the many features that make this generator a smart investment.